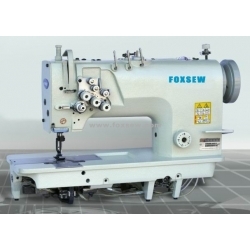 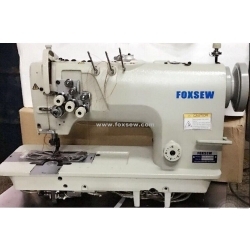 High Speed Three Needle Lockstitch Sewing Machine is FOXSEW National Patented Product., it is the first one in the world won 20 national patents awarded. 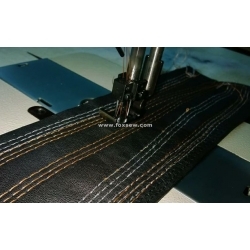 We make every effort to meet the customers demand and convey new value through technological innovation, brand diver satisfaction and rapid response. 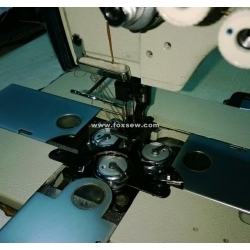 The Rotary Hook Structure has been patented, all rights reserved. 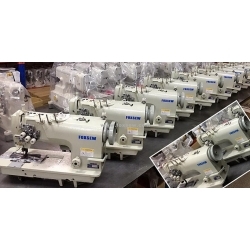 The Needle Thread Tension Structure has been patented, all right reserved. 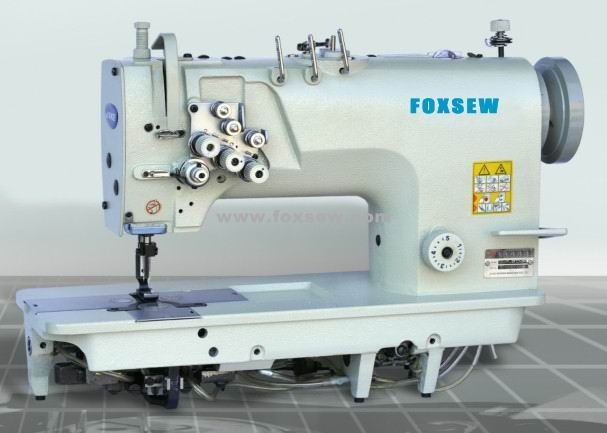 Compared with Three needle chain stitch sewing machine, this machine is with more solid and beautiful stitch, more optional needle gauge, and so on advantage, it can save a process for the clothes which need the same stitch, and improve efficiency.